People are searching for a church shaped and sustained by Radical Hospitality, Passionate Worship, Intentional Faith Development, Risk-Taking Mission and Service, and Extravagant Generosity. 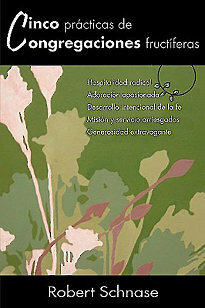 These fundamental practices, now available in Spanish, are critical to the success of congregations. Their presence and strength demonstrate congregational health, vitality, and fruitfulness. By repeating and improving these practices, churches fulfill their mission to make disciples of Jesus Christ for the transformation of the world.